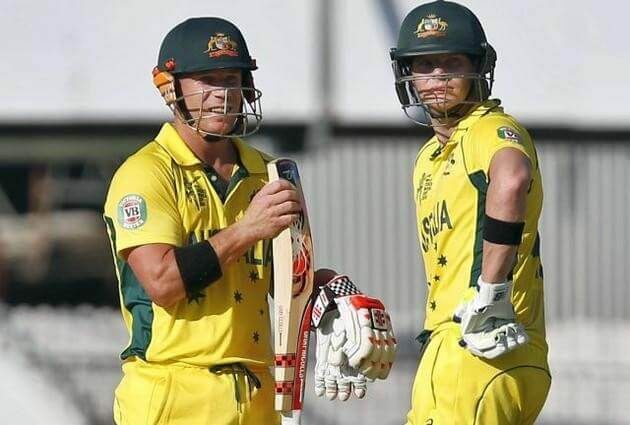 David Warner and Cricket Australia may be headed the same way as Kevin Pietersen and the ECB, with the vice-captain increasingly isolated as the instigator of the ball-tampering incident that has blown up into a perfect storm. In reference to the view within the team that Warner had hatched the idea and delegated it to his opening partner Cameron Bancroft with the captain Steven Smith‘s approval, ESPNcricinfo has been told “the truth is starting to come out”. With the CA Board holding a teleconference with the head of integrity Iain Roy and the chief executive James Sutherland following the former’s hurried investigation, sources close to the board confirmed Warner “is the issue”. The enormity of the backlash against the Australian team and CA more broadly – by corporate sponsors and broadcasters bidding for television rights in particular – has led to a determination by Sutherland, the team performance chief Pat Howard and the Board chaired by David Peever that drastic action must be taken in an attempt to reset the game’s image. In that sense, Warner, Smith, Bancroft, the coach Darren Lehmann, assistant David Saker and others will be made to pay for the outrage as much as the offence itself. Briefing against Warner has been intense over the past 24 hours, leading to reports that team-mates want him out of the Australian side and that CA management are equally keen to see the back of him – the side’s senior bowlers Josh Hazlewood, Mitchell Starc and Nathan Lyon were angry at being implicated in the scheme to get the ball moving more sharply as the Newlands Test slipped away from Australia. Counter reports emerged on Tuesday that “everyone knew” about the attempt to alter the ball’s condition. Warner’s mixed relationship with the team and CA has endured for some years, after his “rehabilitation” in the wake of the Joe Root saga in 2013. Reports that Warner has left the team’s WhatsApp messaging group and distanced himself from the rest of the touring squad are not a surprise to those who have seen his persona veer wildly at times between the attack dog seen in 2013-14 and the reserved teetotal image he sought to foster between 2015 and 2017. Divisions within the team over the issue are a byproduct of the desperation being felt, with the realisation that international careers will end in an effort to save the face of the wider organisation and to preserve its appeal to fans and, by extension, the game’s commercial value. Even so, the fallout from the affair may also lead to the end of Sutherland’s long tenure as chief executive, given he has presided over a slipping of the team’s culture. Numerous experienced observers have pointed to the fact that the CA strategy announced last year omitted the “spirit of cricket” as one of its pillars for the first time since the documents had first been drafted in the early 2000s. The current strategy, devised to chart the path for CA and the state associations from 2017 to 2022, instead featured a “how we play” clause stating: “Be real, smash the boundaries, make every ball count, stronger together”. Pietersen’s days as an England cricketer were ended in 2014 after the 5-0 loss of the Ashes in Australia. While many details of the tour were never publicised, Pietersen was removed from the team as part of an attempt to change its culture.